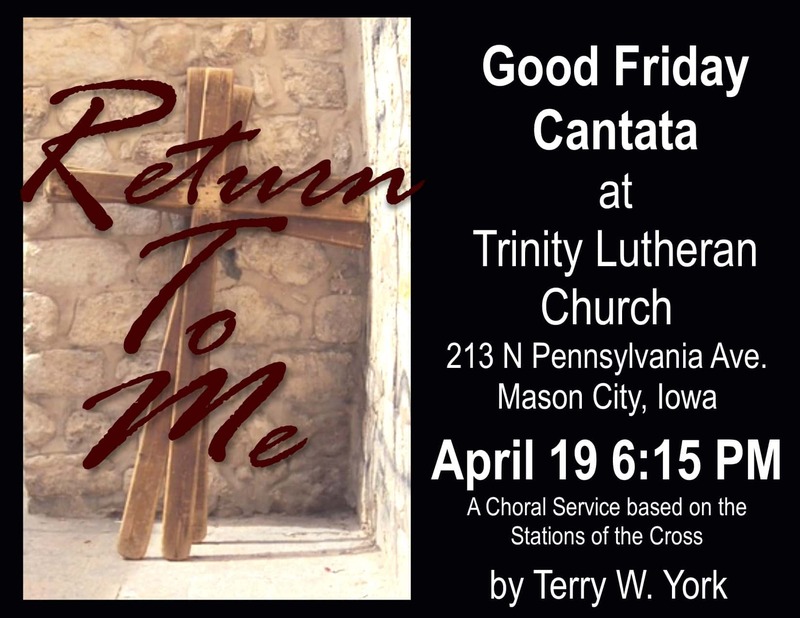 Trinity Lutheran Church choir and orchestra will present the cantata “Return to Me” on Good Friday, April 19 at 6:15 p.m. in their sanctuary. A deeply spiritual major choral work, with original texts by Terry York and original music by Taylor Davis, Return to Me takes us on a journey through the traditional Stations of the Cross. The combination of familiar scripture texts and powerful new images creates a deeply spiritual experience. The music is simply set for solo cello, choir and piano. The community is welcome. Trinity Lutheran Church is located at 213 North Pennsylvania Avenue, Mason City, Iowa.